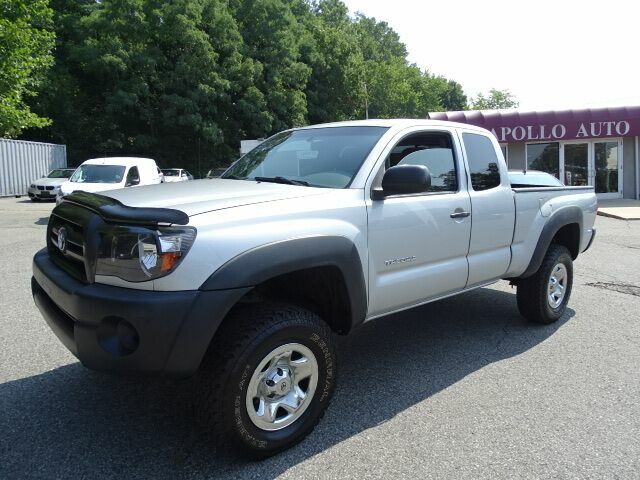 Contact Apollo Auto Sales today for information on dozens of vehicles like this 2005 Toyota Tacoma Access. Equipped with 4WD, this Toyota Tacoma gives you added confidence to tackle the surface of any path you take. Exceptional in every sense of the word, this incredibly low mileage vehicle is one of a kind. This is about the time when you're saying it is too good to be true, and let us be the one's to tell you, it is absolutely true. There is no reason why you shouldn't buy this Toyota Tacoma Access. It is incomparable for the price and quality. Apollo Auto Sales has been in Business Since 1972. We Specialize in Late Model-Low Mileage-Fully Serviced Vehicles. Apollo Auto Sales practices a Velocity Based Pricing Strategy which provides a Transparent Sales Process and Excellent Overall Customer Experience. Please Call Us to Check Availability and to Schedule your No Hassle-No Obligation Test Drive!! Call 401-728-8998 or Click: www.apolloautosales.com.